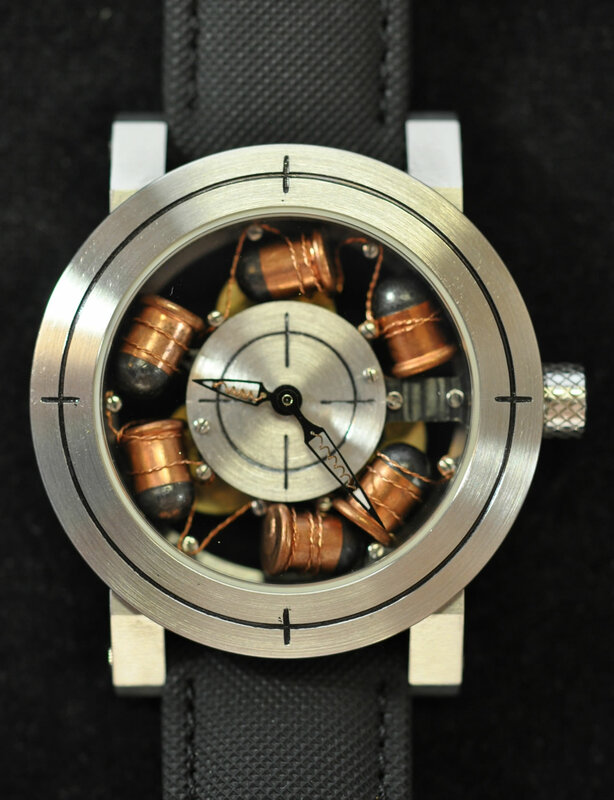 This is a very cool one-off piece by ArtyA, a watch company that specializes in unique pieces. Since I have a casual interest in firearms, this piece caught my eye. The little bullets inside the case are an uncommon cartridge called a 6mm Flobert. The diameter is equivalent to a .22 and while not designed for that, can be shot from some guns chambered in .22lr. Nonetheless, an interesting cartridge that fits into the case well. 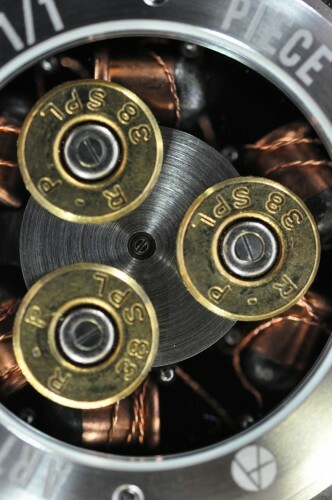 As you can see, the bullets are suspended with copper wire. I would have liked to see the bullets more evenly spaced and more “perfect” in their placement. Perhaps the imperfection is part of the charm for the person who comissioned the piece. The 47mm case features crosshairs to complete the theme. 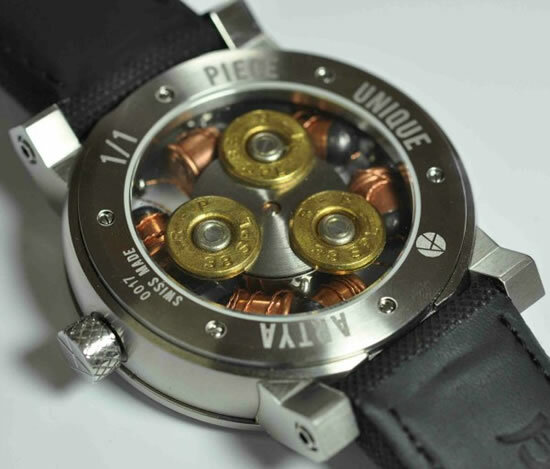 Above you can see the rotor is also visible, featuring the backs of three .38 Special casings to enhance the look. I wonder how it spins when the weight is so evenly distributed. 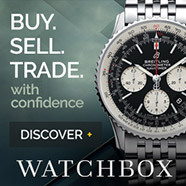 Would love to see this watch in action. The little movement is quite well contained in the central housing. As you can see, the back is marked 1/1 Unique. Swiss Made. Notice the lugs have screws inset to hold the strap. The fine machining work on the case is apparent from the rear shot, showing nice crisp lines and nice hand rubbed finishes.